While the Bengals tried to pull off some lateral magic to try and win against the Texans, J.J. Watt was not having any of it as he hit a rare game-winning spear. 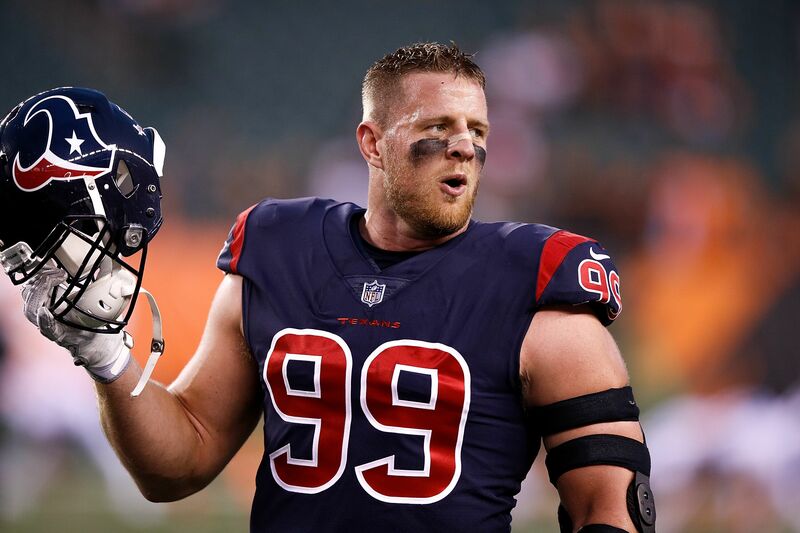 The Houston Texans were looking for their first win on Thursday night, the Bengals tried to pull off a miracle to comeback, and J.J. Watt apparently wasn’t having any of the attempt for some late magic with some laterals in a four-point game. The Texans found themselves up 13-9 and were forced to punt the ball back to the Bengals before time expired, giving Andy Dalton and the Bengals offense one more chance to go 80 yards on one play to win the game. Instead of a Hail Mary, Dalton and his offense tried to do a short pass, and make their way down the field with an insane amount of laterals to try and pull off the miracle. One man, however, wasn’t looking to stay on the field any longer than he had to, and that man was Watt. Looking like Goldberg in a wrestling ring, Watt utilized some great form on a spear…I mean tackle to absolutely demolish an offensive lineman who caught the last lateral of the game. The Texans came away with their first win of the 2017 regular season in the game, and it was really led by some impressive performances by Deshaun Watson and DeAndre Hopkins on offense. However, the play that everyone will be talking about for the next few days will surely be Watt’s crazy game-winning tackle to end it all. As AJ Styles would say if this were WWE, sticking with the theme of the night, that offensive lineman probably “didn’t want none” of Watt to end the game, and his lone chance for glory with the ball in his hands in his career was thwarted by one of the hardest tackles you’ll ever see.